Having clutch issues? 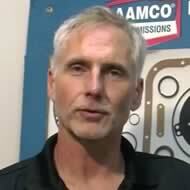 AAMCO South Tampa, FL provides professional clutch repair and replacement services for your manual transmission. At AAMCO South Tampa, FL, our Transmission Initial Vehicle Check may find your problem is with your clutch and cannot be corrected by external adjustments, repair or replacement of a clutch-related component. At AAMCO South Tampa, FL, your vehicle is then road tested to ensure proper clutch operation and your car, truck or SUV is ready to go for miles and miles to come.